UNSEEN FORCES proudly presents GRAVE COMMAND: All Hallowed Hymns, a sepulchral vinyl picture disc celebrating the thinning of the veils between the living and the (un)dead that occurs under the hungry Harvest Moon! 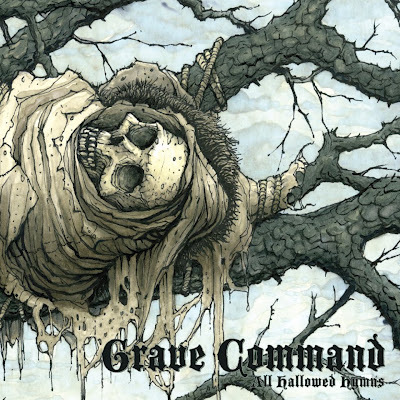 Limited to 1000 copies and introducing the fantastic artwork of Brian Profilio, GRAVE COMMAND is an eclectic and sinister assemblage of never-before-heard compositions written and recorded specifically for this collection (plus one mandatory killer from the 1984 XINR recordings!) and showcasing some of our most beloved fiends, necromancers, ravagers and revenants pushing themselves far beyond the pale of limitations. Double-sided 33rpm picture disc comes in a beautiful full-color LP jacket sleeve. Mastered by Timothy Stollenwerk of Stereophonic. All treats, no tricks. Do you dare peer behind the mask?